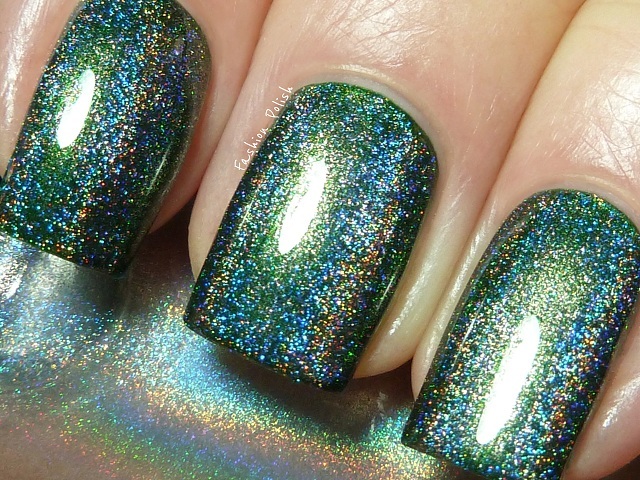 I've always dreamt about a perfect dark green holo with a strong linear effect so when I first swatched Speciallità Hefesto, I knew exactly what I would first layer it over. Oh la la! I LOVE! I have three bottles of this Hefesto... it's awesome! Purrr-fect! 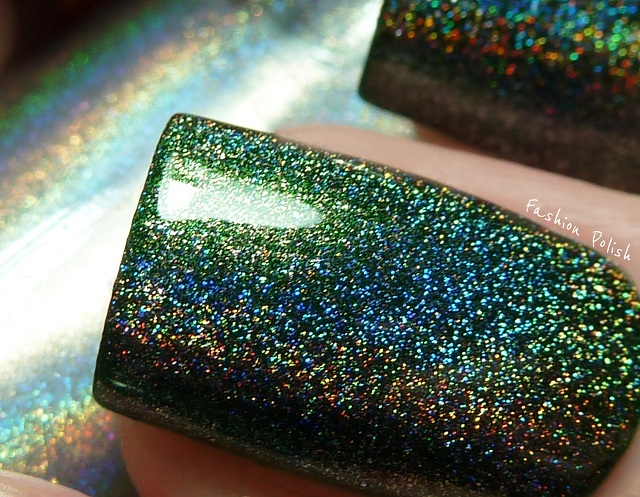 It's like making a holo out of any polish. I need to buy multiple bottles of this! This is my absolute favorite polish combination up to this point. Seriously, the hell with Chanel Peridot...these two polishes together create an amazing look. I love it! so beautiful!! i absolutely love your pictures! drool worthy! where can i find this polish? Wow, that's fantastic! Really beautiful!! And the pictures are amazing. I can find Speciallità polishes near my house, but I hadn't considered buying Hefesto before... now I surely am! I am wearing hefesto right now! I love it! Am loving your mani it's awesome! I have both of these so will need to try this out! This looks amazing! I can't wait to see what it looks like over other colors too! My mouth actually fell open when I saw this, it is soo beautiful!!! 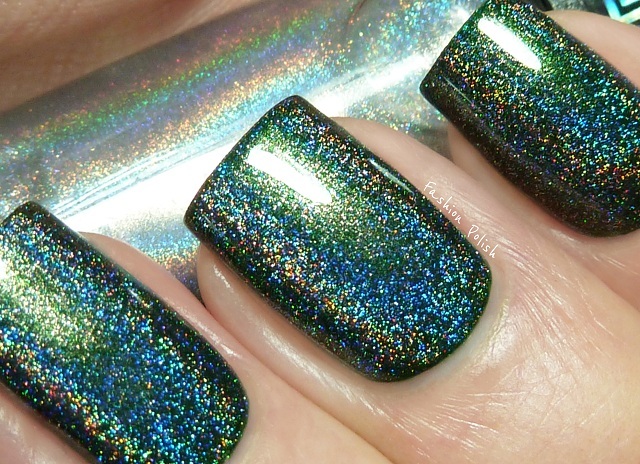 Gorgeous holo! I really need to get me some of these Hits polishes! Now I need those polishes even more <333. STUNNING! I've got Hefesto and Zeus. I feel like Hefesto could lighten up the vampy polishes too much, so Zeus is my dark holo topcoat of choice. Hefesto does have a stronger holo though, so it depends on what you're going for. I love them both so much! this is sooo gorgeous, I can't wait to get mine now ! I lovvveee this combo soo much !!! This is absolutely gorgeous! Thanks for the tip off, I'll certainly be adding this to my wish list now!